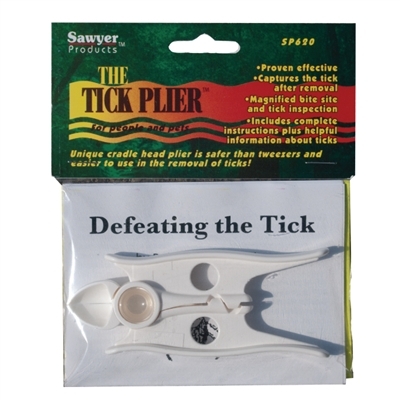 The Sawyer Tick Plier features a unique cradle head that lifts a tick without squeezing the saliva from the tick into the skin. 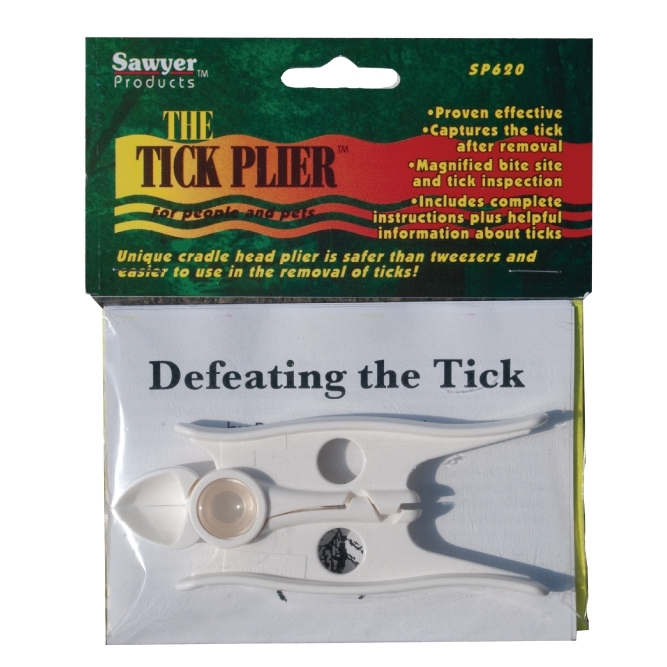 These pliers make it easy, safe and fast to remove ticks from humans and pets. The saliva of the tick could contain bacteria that cause lyme and other infectious-related diseases. The built-in magnifier allows for up close tick inspection and for examining the bite site.